I'm delighted today to be joined by author Rob Lloyd Jones and to promote his debut YA novel, Wild Boy. 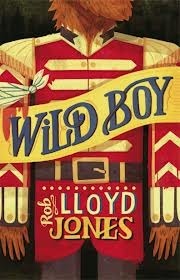 Wild Boy is a massively enjoyable romp that is both witty, unique, effective and hugely evocative of a world that exists in that special space between whimsy and history. The titular character serves as freak-show attraction comes Holmes-ian detective, ably assisted by his trusty sidekick/arch nemesis, Clarissa, who trapezes her way through the twists and turns of what is never anything but a brilliant and original read. Great characters and a compelling story should have Wild Boy cartwheeling out of the shops and onto your shelves as soon as possible. 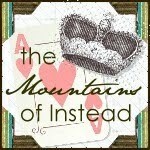 Hi and thanks for having me on The Mountains of Instead. I wanted to talk about how I met my hero. Some writers say their heroes just come. It is as if an angel floats down and whispers everything they need to know about the character. The protagonist of my new book – Wild Boy – made things a little harder for me. I wanted to write about a detective. 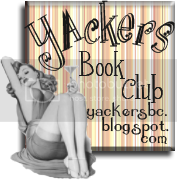 I love good mystery tales – from Sherlock Holmes to Sam Spade, Jonathan Creek to Scooby Doo. But, with some of them, I don’t really understand why the hero is a detective, other than just because. It’s an incredible skill, to spot clues that others do not. Surely a great detective (and by gosh I wanted mine to be the greatest ever) would have to train to develop that talent? He would plan to be a detective. I had lots of fun story ideas but, frustratingly, I couldn’t think of a good enough reason for my hero to be a detective. So I slid the problem aside and turned instead to my second favourite kind of reading – history books. I’d had this dusty volume called Seventy Years a Showman beside my bed for ages (okay, it wasn’t that dusty before I put it beside my bed), the memoirs of the legendary Victorian circus owner Lord George Sanger. Sanger tells some outrageous fibs (not least with his name; he gave himself the title ‘lord’), but I instantly fell in love with the world he evoked – a world of mud-splattered caravans rattling from fair to fair, of showmen yelling at crowds through speaking trumpets, of peep shows, puppet shows, conjurers and card sharps. And, of course, of freak shows. Gaudy banners hung across these rickety caravans, boasting of mermaids, giants, savages and other ‘prodigies of nature’. The performers inside were, of course, nothing of the sort. They were just people who looked different, making a living the only way they thought possible. Some of them – the younger ones especially – were treated with merciless cruelty by their showmen. I’ll never forget the story of the Gargantuan Man, who cried himself to sleep each night from shame, or the tragedy of the Scotch Giant – discovered in his caravan one morning starved to death. Thanks, Rob, for such an interesting and insightful post. Please be sure to buy a copy of Wild Boy (published tomorrow, 4th April, by Walker Books) and check out the final stops on Rob's blog tour (which you can find on the banner in the left side bar). Thanks, also, to Hannah at Walker Books for organising such an interesting tour and for sending us a copy of the book to review.